You wear it every day of your life, so we make sure you wear your skin with brilliance. This means regularly maintaining it at every age by integrating industry-leading technology with a skin care program unique to your needs. We also offer package specials on many services, because taking care of yourself should be an attainable priority, not a luxury. Eliminate unwanted hair for good with the GentleLase system, an effective laser hair removal technology offering maximum efficiency with minimal discomfort or downtime. Common treatment areas include the lip, chin, neck, underarms, bikini, back, chest and legs. Three to five treatments are typically required to achieve maximum results, but this varies based on hair type, color and texture. We provide medical grade facials, which can be tailored to meet your skin care goals through a series of add-ons. If you are a student of our Core 4 system you know that Replenish is a key step in skin health. Replenishing hydration is the foundation of healthy, radiant skin. If your skin is irritated, it can cause an over production of oils that can lead to acne or other skin issues you do not want. The HydraFacial procedure is a hydrating and non-irritating treatment. No. This procedure is great because you can put on makeup (if you desire) and return to your normal activities right after the treatment. The HydraFacial treatment can be used by all skin types. The good news is that even people with very sensitive skin tolerate this treatment extremely well. Here at Village Dermatology we also use specific treatment serums to customize each treatment to your individual needs. We do not do “cookie cutter” procedures here and we tailor all our procedures, including Hydrafacial, to each patient and their goals. See below for some our most popular combinations for the Hydrafacial. *Best results come from a series of Hydrafacials. Chemical peels are one of the least invasive ways to effectively resurface skin, revealing improved tone and texture. We offer many peels in different strengths to address specific concerns. We recommend a series of peels for optimum results. Radiance Peel – Blue Peel RADIANCE® delivers improvements in the appearance of skin complexion and texture. Advanced Corrective Peel – The Advanced Corrective Peel is formulated to target and correct pigment issues. CoolSculpting is an effective, non-surgical treatment for removal of stubborn fat. Treatment areas include, but are not limited to: abdomen, love handles, muffin tops, thighs, and double chin. CoolSculpting uses controlled cooling to crystallize fat cells, which are eliminated by the body naturally. The procedure is pain-free (no needles) and requires no downtime. Many patients need only a single treatment. They begin to see results in as little as 3 weeks, and the most dramatic results after 1 to 3 months. To learn more, visit www.coolsculpting.com, or call our Aesthetic and Laser Center to schedule your consultation 205-572-4906. 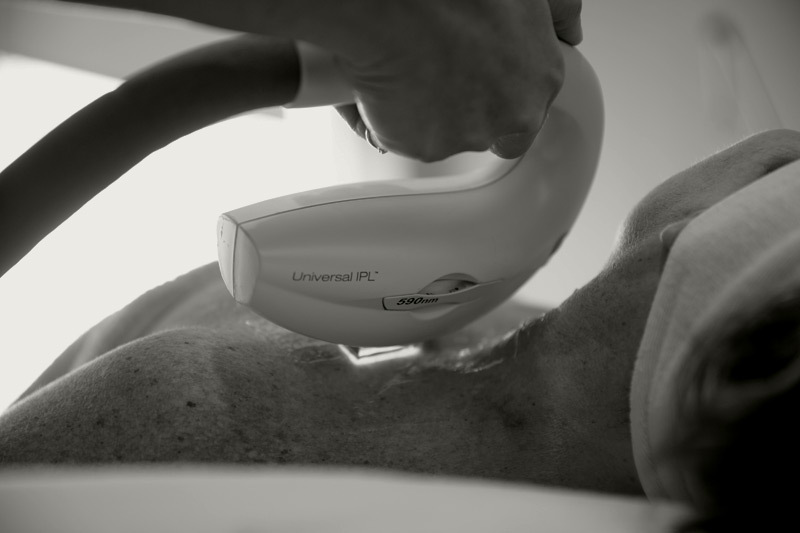 Aging that results from sagging, loose skin is dramatically reversed with Exilis Elite Skin Tightening. 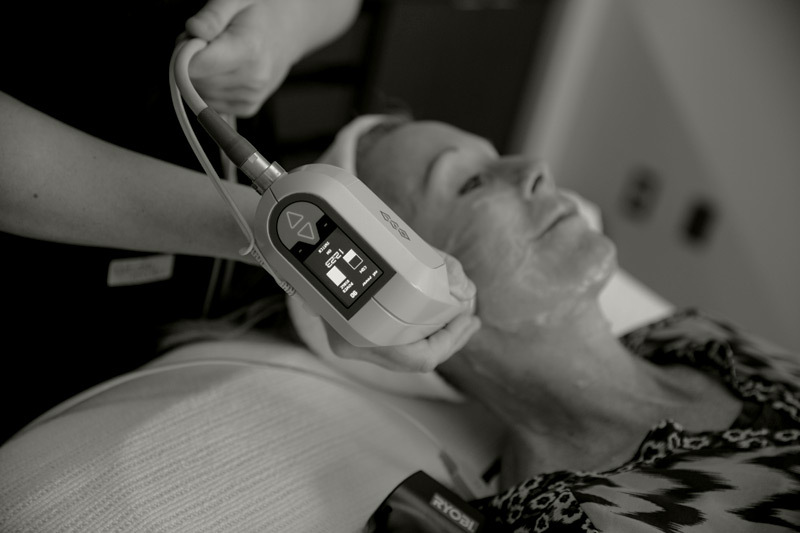 The technology uses radio frequency, delivering deep thermal heat to remodel, tighten and countour problem areas of the face, neck and jowl. Body areas can also be addressed, including the stomach, thighs, buttocks, arms and hips. Exilis takes years off of your appearance in as little as 3 treatments – with no pain, no downtime and no anesthesia. Results are proven to last 6 to 8 months. This laser quickly treats broken capillaries, facial veins, cherry angiomas and more with no downtime. The Reveal Camera is the best way to see what’s really going on underneath the surface of your skin. This ultraviolet imaging software uncovers pigmentation, sun damage and vascular conditions before they manifest on the skin surface. Often used to determine an ideal strategy during consultations, it gives us the ability to target, improve and reverse skin issues before they arise. Dermaplaning is a quick and painless exfoliation process using a special tool to gently remove the top layer of dead skin and eliminate fine, vellus (peach fuzz) hair from the face. It is particularly effective at promoting cell regeneration in dry, rough or mature skin. Dermaplaning allows for maximum product penetration, and may be used prior to topical treatment applications. The SkinPen is a medical-grade, state-of-the-art precision tool to address acne scars and the symptoms of aging. SkinPen Micro Therapy is a highly effective treatment that helps to reduce the signs of aging and enhance your skin’s appearance by stimulating the production of new collagen and elastin. You can expect to experience effects similar to mild sunburns after the procedure; typically some redness, tenderness and some swelling. Despite that, there is no significant downtime after a SkinPen procedure. Patients can return to normal activities and conceal most of the mild side-effects with make-up after just one day. In a few days, there will be zero evidence that the SkinPen procedure was performed at all! Patients with uneven skin-tone and fine lines may see SkinPen results after just one procedure, while those looking to soften the appearance of acne scarring may require several procedures. Hair removal waxing services for the brows, lip, and chin are offered as an add-on to other treatments. Brow tinting is also available.